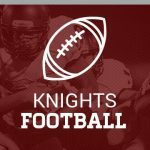 Friday, September 16, 2016 7:00 PM Northview High School AWAY 14 Owen Valley High School HOME 0 Game Recap The Knights went on the road to Owen Valley and pulled out a 14-0 victory. MJ Shelton & Dylan Hyatt both scored first quarter touchdowns, and the Northview defense recorded its second shutout of the season. Congratulations goes out to Ben Girton and Tucker Stewart as they were selected to IFCA Region 6 All-Star Team. Ben was selected at Free Safety and Tucker was selected at Quarterback. Mason Moon and Dylan Hyatt were recently names to Class 4A Junior All-State Football Team. Both were selected on the defensive side of the ball. Mason was selected at Defensive End and Dylan was selected at Defensive Back. Congratulations to both of you.